At the start of the day, girls were asked to draw what an engineer might look like, and a type of tool they would use. 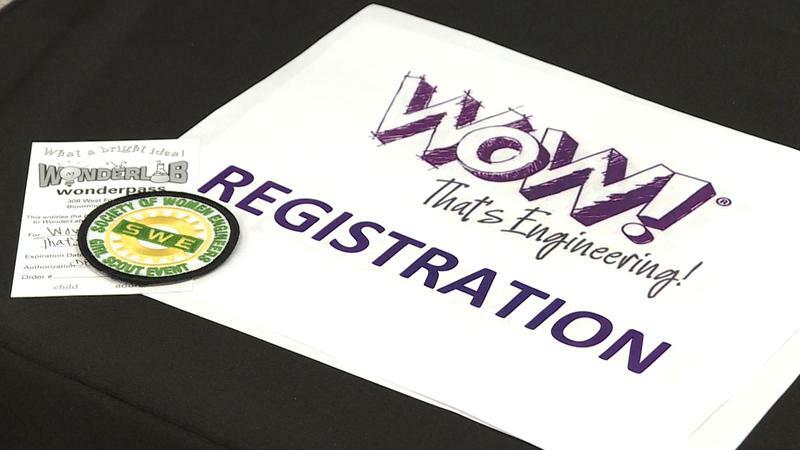 Participants at Saturday’s event earned a badge for their Girl Scouts vest, and a pass to the WonderLab Museum. 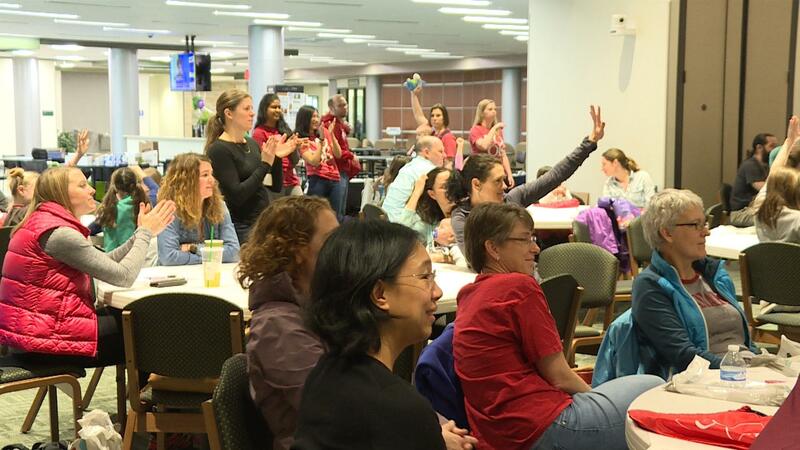 Parents also attended the event, to ask STEM students and young engineers how they might be able to support their daughters interested in STEM fields. The first activity of the day was for the girls to build a structure out of clay and straws to withstand an earthquake, simulated by shaking a piece of cardboard on top of tennis balls. Leaders of the activity were responsible for simulating the earthquake for 20 seconds to test the freshly built structures. 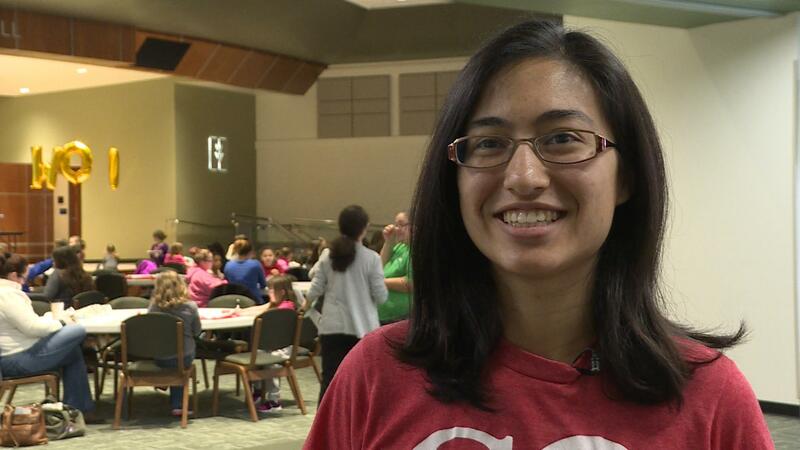 Asha Kirchhoff is a sustaining engineer at Cook Medical and helped organize the event to connect young girls with women in engineering. 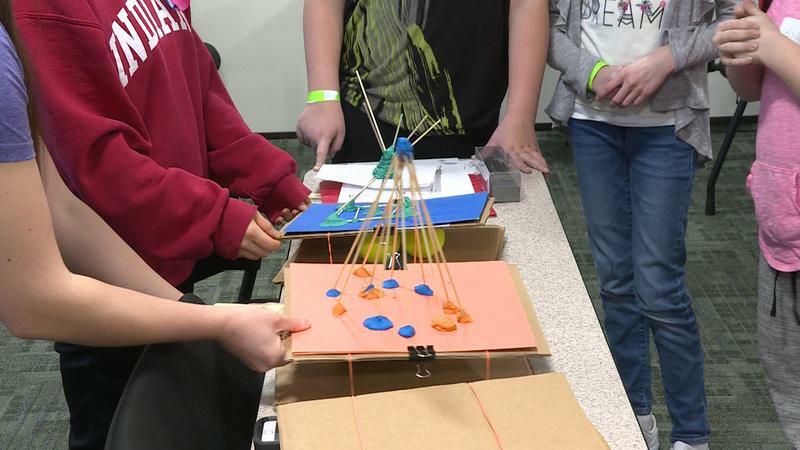 The U.S. Department of Commerce estimates around a quarter of STEM jobs are filled by women, but an event in south central Indiana this weekend aimed at giving Girl Scouts a chance to hone their inner-engineer. 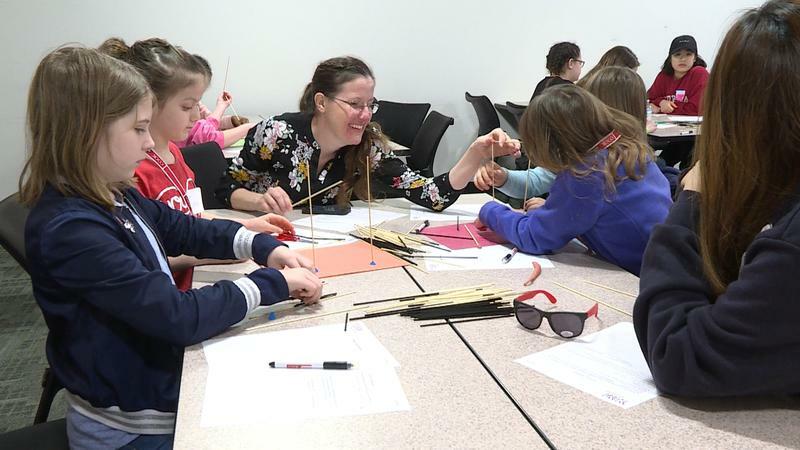 An all-day event on Ivy Tech’s Bloomington campus Saturday aimed to get girls excited about STEM through several activities and discussions with professionals in the field of engineering. 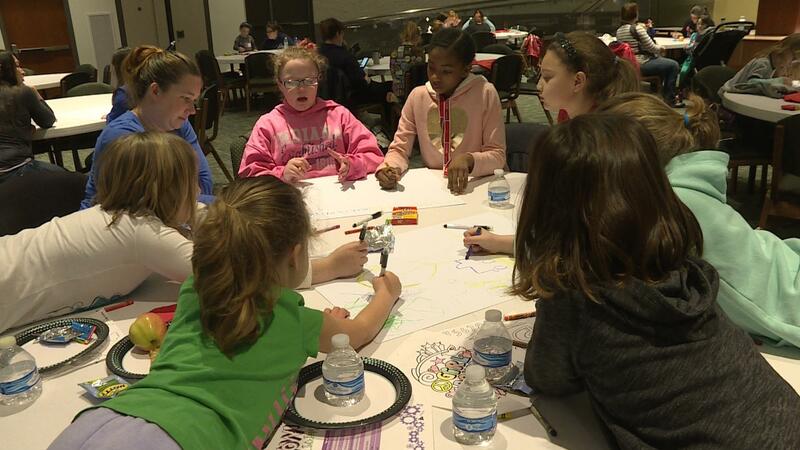 Cook Medical, Girl Scouts of Central Indiana, the Society of Women Engineers from Southwest Central Indiana, and other local community sponsors worked to put on the event. Cook Medical sustaining engineer Asha Kirchhoff helped plan the activities and talks. She says one of the big goals is to help young girls visualize their own options in life. “So these girls can see women who have become engineers and realize it’s possible for them to do the same thing,” Kirchhoff says. The scouts also had a chance to do some engineering of their own and make structures to withstand a pretend earthquake, after learning about engineers and their efforts to improve safety around seismic activity. Not all stick, straw, and clay creations survived the 20 second table tremor, but that fit with another theme of the day: everybody fails before they succeed. Kirchhoff says the activities were designed to get the girls thinking about the process of what it means to be an engineer. “You brainstorm solutions, you look at your resources, you build a model you test it, it breaks, so you redesign it you retest and eventually you get to something that works,” Kirchhoff says. Scouts also had the opportunity to ask a panel of women engineers questions about their profession, experiences, and favorite flavor of Girl Scout cookie during lunch. Later, local businesses and other community partners who work with engineers showed off different demonstrations focused around engineering and science. 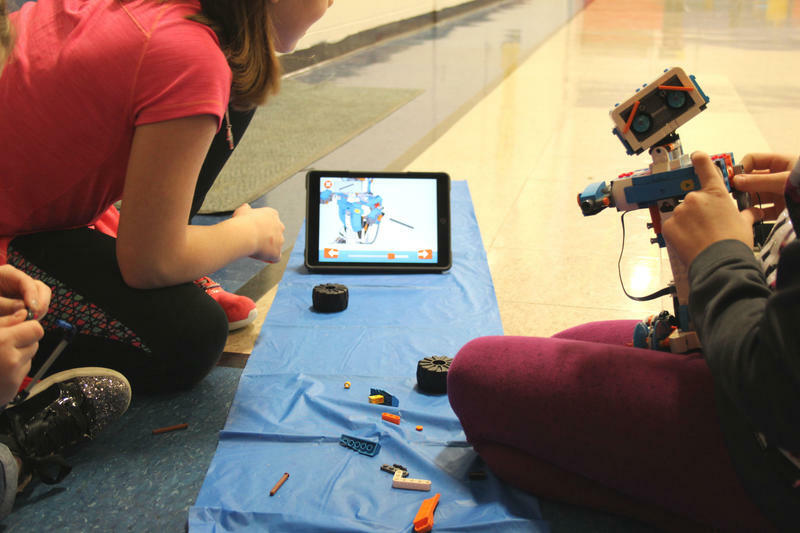 Organizers say it’s important to connect girls with different subjects early, especially STEM, and they hope to add even more participants in future years of the program. The computer science field is booming, yet women are still underrepresented within it. Research shows one reason is that girls are not as exposed to computer science in K-12 education. So universities are reaching out to schools to introduce computing earlier. Universities are seeing success in recruiting more women to their computer science programs, but making sure they want to stay in the major is a different challenge. And colleges can struggle to make sure the environment is as inclusive as possible. 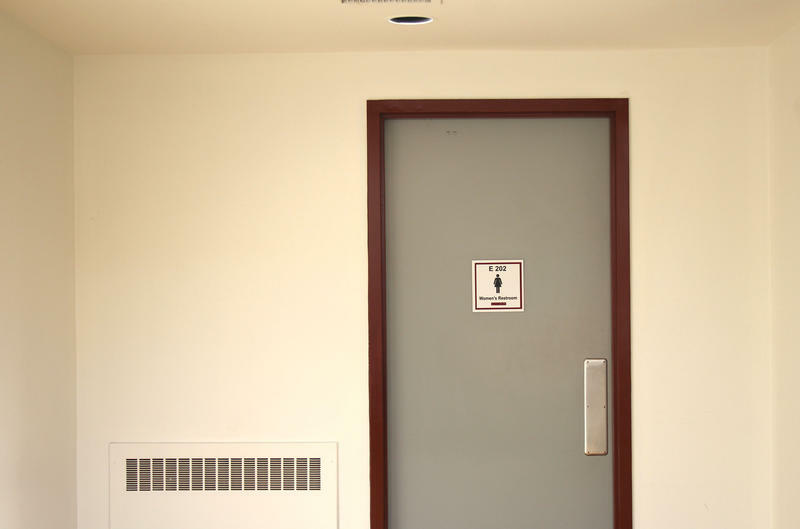 For example, in the computer science department at Rose-Hulman Institute of Technology, there’s only one bathroom. The building only has room for one, and for a while it was men-only.